Visit all areas of the farm through our photo gallery. 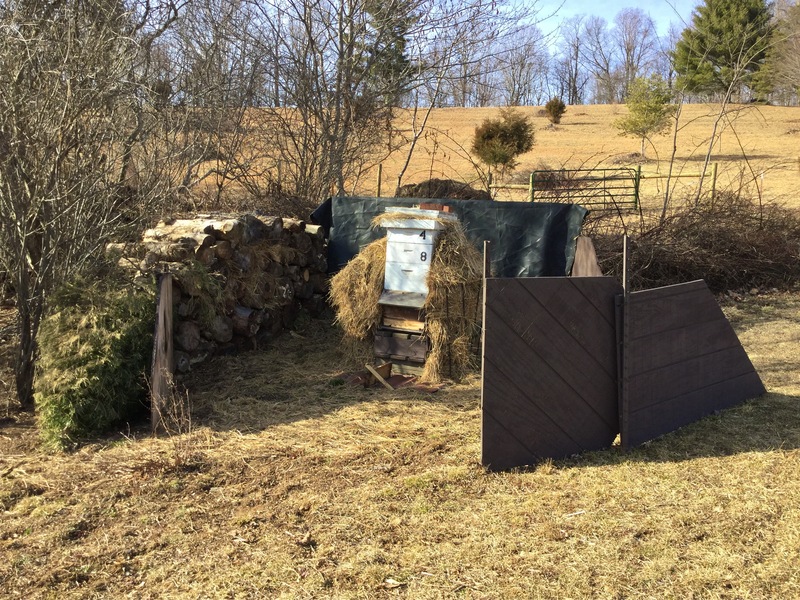 VA FARM, Beehive with wind baffles installed to protect the hive during the winter months. The wind can routinely blow at 25 mph in these higher mountain elevations. All content property of Broadened Horizons Organic Teaching Farm. 705 Laurel Creek Rd. NE, Pilot VA 24138. Contact Us.